I have been unable to commit to this project but I have uploaded the source code on github incase it is of use to anyone. It’s provided as is. The past few years have been very busy but now I think it’s time to get around to making this project Open Source. 2. Make standard C++11 ELM library. (Remove QT dependency on core system. Only use QT for GUI widgets). 4. Officially document what was involved moving to EABI and was released in pdf but compressed with a service from sodapdf.com. I’m sure a lot of things have changed by now but I’ll see what can be done. If anyone has interest in helping me or any suggestions, please email or reply to this comment. It’s been quite a while since I’ve worked on the TS7390 and QT but I’m back at it again for other reasons! I’ve successfully got the latest QT / TSLib and EABI/Lenny distro working on the TS7395. I’ll post a step by step guide soon enough. My next step is to also get Direct Frame Buffer cross compiled. Technologic Systems already provide Direct FB in the Etch distro and it seems to work quite well. When I get a bit of time off over the next few weeks or so, I’m going to give a go compiling QT for EABI. A lot of discussion on this is active on the mailing lists. Some people are having terrible problems and night mares and some seem to have it done fine. I’m going to document every step I do fully. Performance on EABI should be a lot better than what I have now. I’m planning on enhancing Automon and perhaps including some media system. Exciting times still ahead. Today I done a bit of refactoring of code and commented everything I could. Almost drove me insane but got there in end. Final result ended up ~7500 lines of code, not bad! – Couldn’t have made it any more efficient or smaller. And surprizingly, the executable results in a file size of just 800KB including all the graphics and styles! I am very impressed with QT Embedded indeed! Well not quite, still testing and fixing of a few known bugs. However it really is complete to me. All widgets and functionality is implemented and actually works! Tested it today on my MG and everything worked a charm. I’ve yet to try it on a few more cars but I don’t see why they’d be different since the ELM327 supports all. 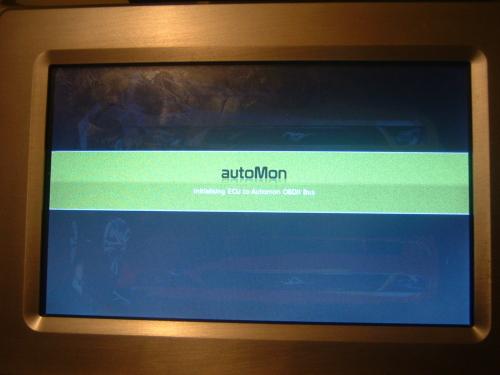 Below I’ve included photos of Automon on the TS7390 since it might look a bit more realistic than the screen shots. The camera is years old and my hands arn’t steady so apologies for the quality. It actually looks superb in real life, almost better than the screen shots below. Colors come out great, even though it’s only 15bits. Today I modified some run level scripts on the embedded Linux. I set up the environment variables and locations of libs in the /etc/rc.local script. This script runs at end of run level 2, in multi user mode and Automon automatically starts. Now all I have to do is connect the TS7390 to the car and turn it on. I also purchased an inverter for the car today that works so no need for DIY circuits at the moment to power the SBC. Anyways Automon now starts up on start up of the TS7390 so no more need for telnetting into the board. 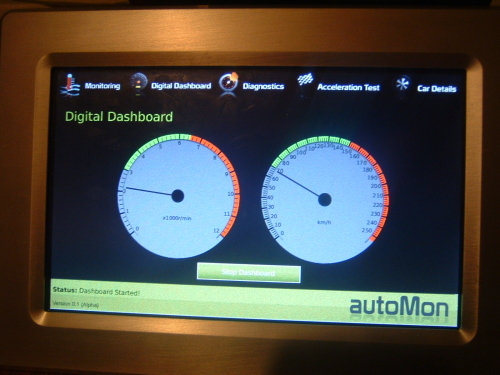 Today I made the Digital Dashboard widget. Ok it isn’t very digital since it’s analog dials, but communicated in a digital way at least! It didn’t take long to create this since I already had the dial widgets from before. The widget’s themselves could look a lot better but it will do for now. It has been a long day but I finally got the monitoring working the way I wanted it! 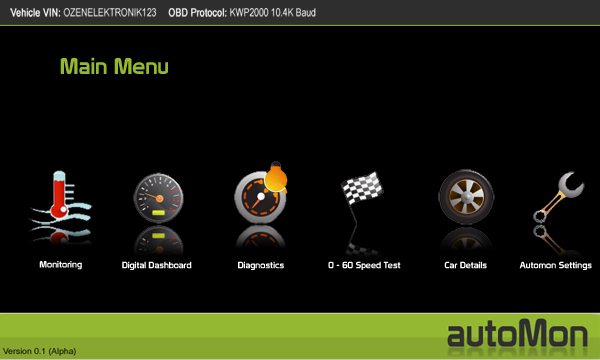 First of all, you are given a choice of supported sensors on your Clasiq car parts. You can add as many as you want (Only one of each however which makes sense!) and you can set the frequency of update. 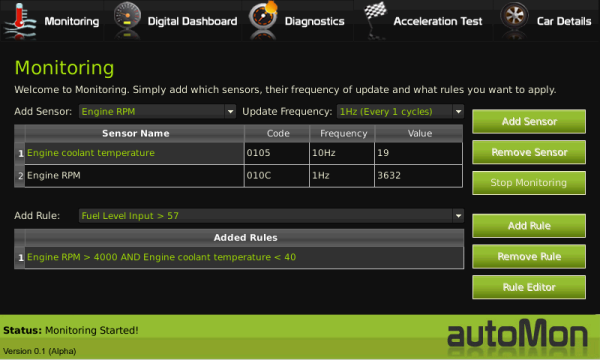 The frequency of update, is how often Automon will poll the ECU for the sensor value. Engine RPM changes rapidly, so need to update this every cycle. However, there is no point checking the coolant temperature that often. In the screen shot above, I set it to 10Hz, so every time Automon cycles through the list of sensors to check, it will check RPM, but every 10th time it will check the coolant temperature sensor. Below that are available rules. Rules can be added to the monitor. However, you will only be able to start the monitor if all sensors that are listed in the rules are added. For example, If I had a rule added that included the Fuel Level input, I would first of all have to add this sensor to the list of monitoring sensors before being able to monitor. The rule editor can also be launched from here. 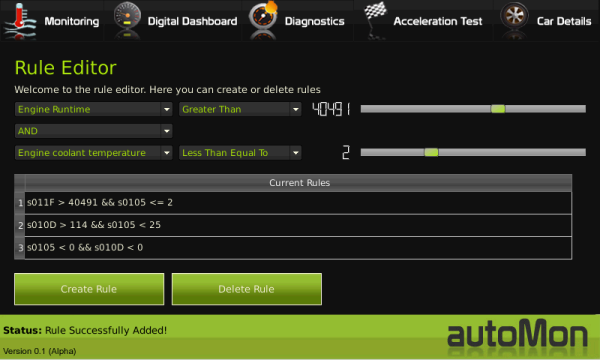 Any changes made to rules in the rule editor, will immediately be reflected in the monitoring widget. So for example, if I add a new rule in the rule editor, it will be listed in the available list. If I added a rule to the list of rules for monitoring and if I launched the rule editor, and deleted this rule, the rule will also be automatically deleted from the rule list in the monitoring widget. Big confusing but it works! In the screenshot above you can see that the values are getting updated. This allows you to see values changing in real time. When a rule is satisfied, it will highlight the rule in a green background on the cell. I also want it to emit a sound so the driver can hear it but this is a bit complicated on this device. It does have a speaker though which is a start! Today I started on the monitoring side of things. Embedding a rule editor inside the monitoring widget was simply not practical or even possible due to screen real estate issues! Instead I gave it, it’s own dedicated widget. Above is what it looks like. At the moment it only allows you to add two sensors to a rule. The sliders allow you to change the values since no keyboard and I’ve no intention of developing a on-screen virtual keyboard widget with the time frame I have!. 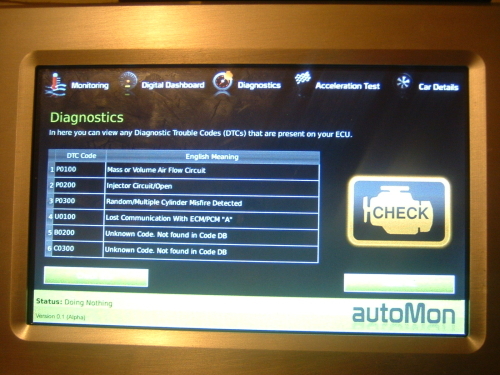 Each since has it’s min and max, for example coolant temp is from -40 to 255 (OBD II limitations). 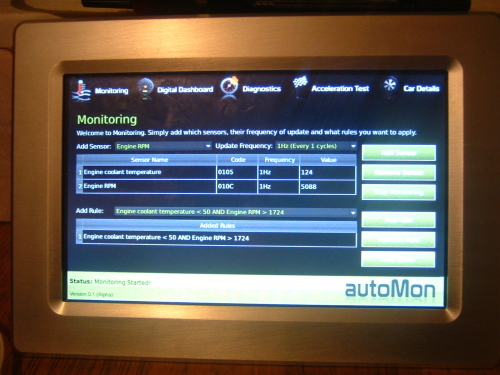 When you select this sensor, the sliders automatically adapt to these ranges making it a bit intelligent! Speaking of intelligent, there are other things for example. Only sensors that the car can support will be listed! 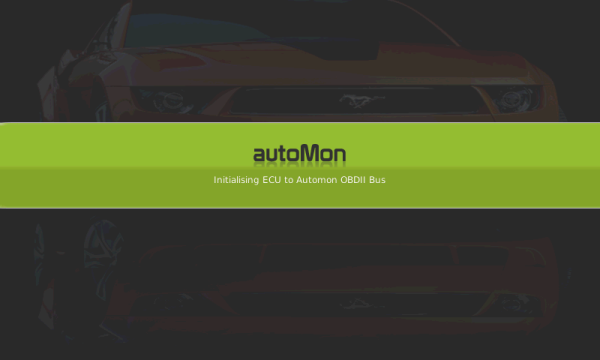 The OBD II standard does not force manufacturers to implement all sensors, only the ones they want so Automon will automatically update the supported ones and only give users access to these. Now for the monitoring widget…. I am attempting to create GUI effects, such as a menu that slides up and down when you need it over the widgets. I have attempted it with QGraphicsView and animation, however it is a bit tedious and very slow with the transforms. QT Animation Framework is something that is under development and scheduled to be released in QT 4.6 later this year. However, they have given access to it and a few demos. It basically allows you to do animations and interpolation for smooth transitions for widgets from one point in the screen to another. It also provides easing curves, where you can define a linear transition animation based on a curve. So for example, I could make my menu slide up and let it drop when it hits peak like a gravitational affect. Just an idea. I successfully compiled the examples on the TS7390 and they run smoothly enough. I won’t spend too much time messing with GUI effects but I’ll see what is possible anyways. Now that I’ve the “kernel” of Automon done as much as I want, or have time, it’s time to start the actual main application. I will develop a user friendly GUI with large buttons since the user will be interacting with Automon using the touch screen. HCI will be an important element of this project. Font will have to be large enough so the user can see what is happening. Today I started developing a GUI with a few buttons to test. Obviously the end result will be a lot better and user friendly. Obviously I won’t be including the normal title bars and close, minimize buttons etc on top. 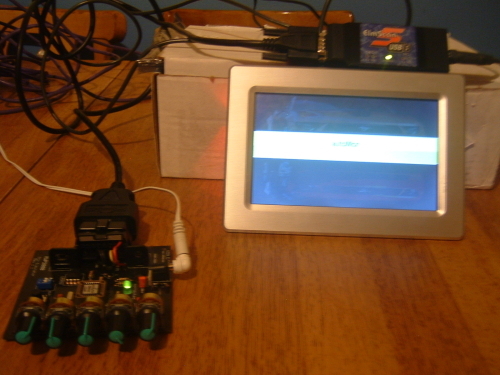 The application will run full screen and load automatically on start up of the embedded device. I will have to work out a way of removing the Linux start up messages and attempt to hide linux fully. I am also going to handle exceptions in a good mannor. 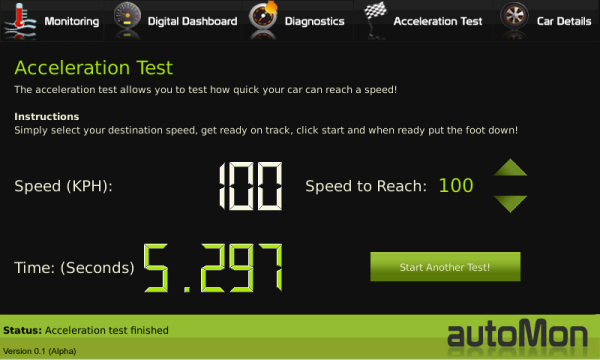 Communication with ECU’s is very intermittent. If the car and ignition is turnning on/off while Automon is connected, it results in a break down in communication where the car must be turned off and Automon rebooted. It has being a while now since I’ve touched the project due to being a bit ill.
All my code compiled successful, however I didn’t see much increase in performance. I will look into this more in the future. Compiling and Cross Compiling QT 4.5 was no different than that of QT 4.4.3. I did however encounter one problem when cross compiling, a linker error to a symbol that didn’t exist. I believe this has to do with me using a old cross compiler version of GCC. However, the problem was removed by replacing this function. Can’t remember the name now but it was an exit function, that I simply replaced with exit(0). 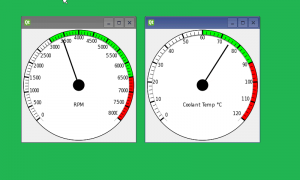 After adding the dials for representing sensors in a more graphical way, random serial I/O problems occured resulting in incorrect figures being obtained. The solution was to increase the priority of the serial I/O thread to higher than the rest. By default it inherits the same priority from the calling thread but this isn’t enough. I started my thead with the QThread::TimeCriticalPriority enumerated type. This seems to have solved the problem. If I discover any more problems, i will attempt setting the whole processor priority higher using the Linux nice command. 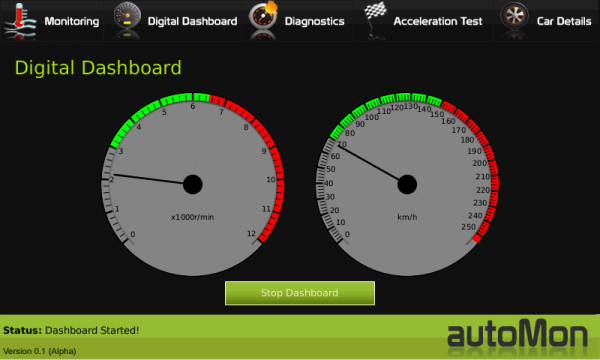 Today I successfully added in dial widgets to represent sensor values in an analog style like the dashboard of a car. I had to turn off anti aliasing and animation since the ARM device couldn’t handle it very well. This weekend I added the rules functionality. 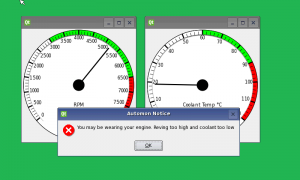 Rules might be something like, alert me when “Coolant Temp < 60 && RPM > 4500″. Each rule is given this logic, but using the commands instead of English meaning. You simply add the sensors you want in your rule and then create the logic using ANDs/ORs and comparison operators. So now when the Revs goes above 4500 and the coolant temperature is still relatively cool, signal an alert. I’ve it going to my error handler at the moment but this could easily be any GUI element. That is pretty much all I am going to do for the kernel part of my system now. I just have to implement proper error handling and test it properly. Now using all the functionality it supplies, I must create the main application. Load Sensors, or custom ones that inherit from a main object and implement a conversion. Connect sensors to the serial scheduler and set sensor frequencies so some update more often than others. For example, coolant temperature would need to be updated a lot less than engine RPM. Set min and max boundary values per sensors and connect a error handler slot to a signal that occurs when a sensor value goes out of bounds. Record average and instantaneous refresh rates of sensors. Helpful for debugging and performance testing. Load DTC values, even propitiatory ones from a flat codes CSV file into the system. Look up number of DTCs in system and check if Malfunction Indicator Lamp (MIL) is switched on. Get battery voltage of car. Get car’s vehicle identification number (VIN). 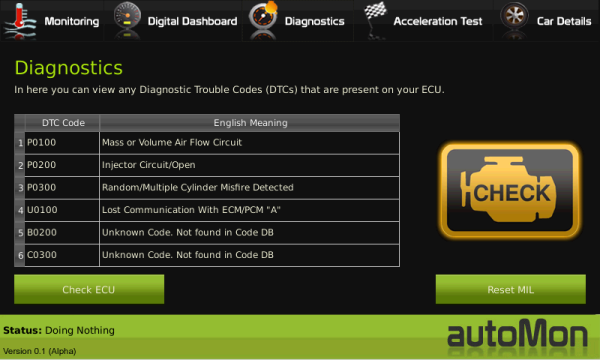 Get the OBD standard that the car complies with. Automatic pausing of monitoring when command issues. (Slight problems with this however). Mutex’s implemented on non re-entrant serial methods. (Need to test). 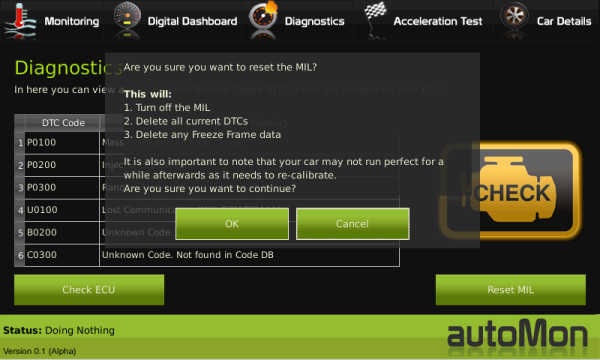 Check supported sensors in car and automatically disable sensors that are not supported. 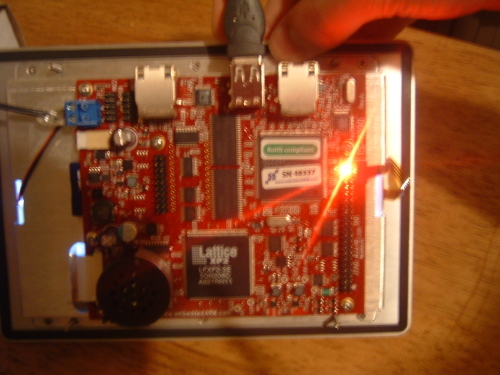 A debug message is also presented when a sensor cannot be added due to it being unsupported. Need to implement a system where a user can dynamically set rules such as “If coolant temp < 40 degrees AND rpm > 4500″, that the rule emits a signal that is caught by a user defined slot. Ideally I’ll have a GUI section that prints an message if rules are satisfied. 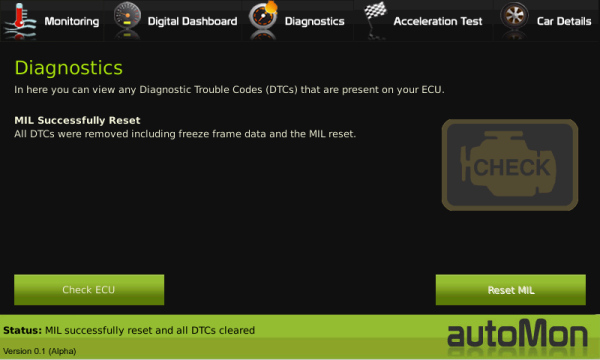 This is a very important part of my system, that will provide great functionality to mechanics that need to diagnose or test car tuning changes. A freeze frame is a collection of all the sensor values during the last time an error occured. These are not actually sensor objects. I have the problem of querying only ones that are supported and storing them as XML and returning the values like this. So for the moment, that is all the functionality I require for the Kernel. All this functionality is provided via a sort of interface, though technically not as implementation is included in parts. Next week I am going to spend time testing this properly as I still have problems with the odd timing going wrong and hanging. I am going to investigate QTestLib to see what that has to offer in the line of automated testing but I don’t want to invest too much time into this area. Saying that however, it is essential that this part of the system, the Automon kernel is stable as the result of “Automon” will be built on top of that over the next few months.